The Game Crash of 2013? In 1983, videogames all but vanished. He's got a point. Even if all the big publishers crash, there will even still be AAA games being made. Star Citizen just passed $15 million on kickstarter. This was a game that was only being made by a handful of people, but because they have such an intimate relationship with backers they can create the ultimate space sim game that people always wanted, but publishers wouldn't give them. The industry may be changing, but it definitely isn't going away this time. That is a good article. The parallels are always funny despite the situation being almost complete different. There was no competition in the space. No one could self publish. The internet didn't exist. Even if Triple A were to die tomorrow, people would still be making games. It was different back then. No one could make one on their own. The tech wasn't available to the open public, the distribution wasn't there... so many things were different but everyone is afraid of a crash. It's partly because an element of fear is actually how it's completely irrational. Now, people aren't rational, this is proven scientifically, but fear is even more irrational in nature than people normally are. Great article Shamus! I didn't realize you were such a crotchety old man! Unfortunately a crash might be a good thing in the long run. It might make the ones left standing take a good hard look at themselves and see why they are standing. Everyone will say Look at activision and their cod and their billions. Man, all these people talking about video game crashes are just like the people who keep saying the end of the world is going to happen. It's probably not going to happen anyways. The crash occurred because of what was basically a monopoly where the owners became too greedy for the structure to sustain itself. As for distribution options the retail stranglehold is done. There are dozens of options for PC games including buying directly from the developers, something unheard of even 15 years ago. Even for consoles no longer is the buyer beholden to gamestop. We are living in a gotdamn gaming utopia. We have options we couldn't begin to dream of in our wildest cyberpunk fantasies. And its only going to get BETTER! It really is true about the limits of the earliest console. I've always thought that video games got an early reputation of being a "child's toy" because aside from a few exceptions & games (ex: Tetris) children were the only ones that could be entertained for extended periods of time. If I was 28 when the NES came out instead of 8 I doubt I would have spent much time with it. However I am glad that I the perfect age to get a NES/SMS when they came out and got to experience the consoles growing as I did. Look, please stop abusing inflation CPI. It does not measure disposable income which happens to be where Video Games and entertainment fall into. It measures the cost of living. AKA Food, Housing, Transportation, and Energy costs. To be honest in 83 the median citizen had more disposable income then they do now. They have less now because Inflation has grown faster than wages consistently since the 70's. Between the cost of living, and flat/falling wages we have less money to spend on disposable income today. In 2001 the 50th percentile of the country made about 54k per year. To keep pace with inflation by 2011 the 50th percentile would have to make about 68K per year, but now we make 50. Wages haven't grown or moved for the middle or lower class for a long, long time. A 40$ game in 83 would be more like a 5$, or less, game now. That is because disposable income is deflating not inflating. Only the cost of Living is inflating. Inflation is a far more complicated issue. Stop using it, or educate yourself better. The problem as I see it is that I'm not buying much of the new games. Not because I don't have time or money or anything like that. It is because the games being put out no longer catch my interest. I no longer look forward to the next shooter or spend hours a day playing COD multiplayer. I look forward to so few games my budget for games is safely capped at about 200 bucks. I used to spend 5 times that in a given year. Its even come down to I seem to only buy from the same studios who make the games I want to play still. I will buy Rome 2, GTA 5 and Wolfenstein probably week 1 if not day 1. Everything else is something I'm passing on or might buy when its 5 bucks. I just do not understand why the Wii U doesn't have strategy titles on it, or why I have to see the same boring FPS games every year. I understand companies want to make money but your not gonna make it by stagnating. A neat exploration about the crash in the '80s. I had a moment in my youth similar to the one described here where I just didn't want anything that was available, no matter how cheap it had become. (I'm getting there again, I'm afraid, though games aren't near so cheap.) I didn't realize what had happened in the industry, I just thought I'd outgrown video games. Oh, how wrong I was. Also, that was a weirdly brilliant example of how little memory the Atari had. One bone of contention, though. And not with anything the author himself argues, but with something gaming culture believes. E.T. was good! I liked that game! I'm not saying that from a place of hipsterlike irony either. When that game was new, I had it, I played it, and I liked it. Getting E.T. to the ship made me feel like I'd accomplished something. Sure, I was only like 8 or 9, but come on. I mean, Dr. Jekyll & Mr. Hyde was a worse game than E.T. and it was a whole console generation later. We're definitely headed for a crash, just not like the one in 83. As mentioned, that one nearly killed the industry. The crash we're headed towards is much more tame. This one is just going to kill off some big names who are spending TONS of money on games, needing to sell unrealistic numbers to make back what was sold, and are antagonistic towards their fans. But 1-3 large companies going away or getting much smaller won't be a real crash, it is just going to open up the game space for others to step up and/or for more smaller games to get more attention. We're not headed towards a crash, just a shift. And it's going to be a fun one. Shamus, unfortunately I find that most people who point to the crash of '83 actually do so as a populist warning than any sort of familiarity with it, that Wikipedia link included. First, the crash started in 1982 and not in 1983. Starting with Atari's adjusted earnings report on December 7, 1982 that caused a backlash in the industry illustrated by a massive stock drop across the rest of December for all the companies in the industry followed by layoffs in early '83. With Atari as 80% of the consumer industry at the time, when it has problems, everyone else is going to as well - especially when Wall Street analysts had been bucking for it to happen and complaining about the volatility of the market for some time. The problems that caused it were already in full swing by the Summer of '82, long before any claimed games like E.T., and purely had to do with the lack of any logistics or inventory control, all in an effort to keep up with Warner's profit demands to bolster it's own stock. In 1981, Atari couldn't keep up with manufacturing demands so distributors started doubling their orders in an effort to get enough product for the year. This was further compounded by the fact that in October 1981 during a meeting with it's distributors, Atari had asked them to commit to ordering product for almost all of 1982. Unfortunately, manufacturing caught up by '82 and distributors were left with mass amounts of overstock due to the competitive climate (by Summer '82 there were six consoles on the market, with three more announced to enter that year along with an exploding third party software and cottage industry). As Geoffrey Wheeler, editorial director of Game Merchandising magazine would tell in the New York Times on December 9th, "In June 1982, there were about 100 different game cartridges on the market; now there are about 400, and more every week. We'll be glutted by next year." Richard Simon, an analyst with Goldman, Sachs & Co. would also state in that same New York Times interview, "1981 was a wonderful window to enter the business; you could build up a power base immediately; Yet if those same companies tried to enter the market in 1982, with the same talents, they would find it much more difficult. It's a tough business now.". So by the Summer of '82 you now had order cancellations and returned stock piling up in warehouses and no strong communication with manufacturing, because Atari had never dealt with the possibility of this scale of returns before. Losses from warehouse overstock were already at $65 million by the beginning of August and only getting worse. By Fall, Atari started playing games with it's reporting to cover the mounting losses, including adding extra time to the quarter, but it finally caught up by the earnings report that December (and the situation is also what lead to Ray Kassar getting in trouble when he had sold some stock and was accused of insider trading). Additionally, that's not correct regarding E.T. That was Warner who forced that situation, not Atari. And specifically Warner chairman Steve Ross, who was trying to woo over Spielberg to Warner, and set up the deal with him over a weekend party at his house in the Hamptons and then sprung it on Atari. It was that deal and Spielberg's demands in it that lead to the accelerated timeline and the need to manufacture so many just to break even because of his guaranteed royalties. The results of the crash that started in '82 were spread out over a one year and seven month time period, coming to a conclusion in July '84 when Steve Ross decided on his own to split up Atari Inc, selling it's Consumer Division to Jack Tramiel to start up Atari Corporation. During that time, just about every other major competitor left the Consumer market. Likewise, 90% of the third party or cottage industry went bankrupt, with a small percentage (such as Activision) jumping over to the Computer software industry (and the personal computer industry itself had just come out of it's own major shakeout thanks to Tramiel's Commodore). I could be way off on this, but as far as I'm aware inflation is the decrease in value of currency, where as in 1983 $40 has the spending power of almost $100 today. How are they misusing it? I understand there are many more factors such as median income but it seems completely appropriate in the context. Wow, never thought anything like that crash might ever happen anyways. But interesting to know. I think even if the big publishers would topple, there'd be enough indie etc. to grab their market share. It's a common miss conception. CPI, or the Consumer Price Index, is what is referred to as Inflation. That index only measures the cost of living. Currently, it's being debated as to whether or not Chicken should be included in the calculation instead of Beef. Discretionary goods are never, and will never, be apart of that calculation. Here's another real world example. The Music Industry unit sales have increased every year for decades. A decade or so ago they made about 38 Billion Dollars. If you applied the inflation values into it you'd think they should be making 50 Billion. However, people can't afford 20 Dollar CD's any more, and even though sales are up they only made 16.5 Billion. Prices have had to fall a lot to keep people buying. That's because discretionary prices are deflating. The inflation of the cost of living coupled with flat wages has eaten away at the consumers ability to pay high prices for luxury goods. Born in 1983... this makes me feel less old :) but seriously intresting comparison... 30 years on have we leant anything? I think so I think indy is there to pick up if the main publishers bone themselves over in the coming years. Games will go on and well... anyhow to cut myself short good article cheers as always Mr Young. Shamus, you say that the AAA developers currently dominating the console industry could make more money if they understood and cared about their product and their customers. I'm assuming that your reasoning is rooted in sound business principles and not just wishful thinking as a consumer of games. Can you elaborate on how this would work? And if making a good product and being in touch with your audience is such a big deal, why hasn't some indie upstart swooped in and stolen EA's lunch by now? Should we be taking away the conclusion that, yes, EA plus Quality would make more money than EA, but no, Quality alone without being EA has no chance of doing so? Thirty years is a generational gap. It's more than enough time for an entire class of business experts who never knew the last disaster to convince themselves that they are inherently immune to such stupidity and thus have no need for caution. So from what I've gathered, the boat isn't headed towards an ice berg, it's just that the toilets have stopped working. Not sure if I like that scenario either. Well put it this way, with all the games that already are out there... if publishers actually stopped making games, most of us probably wouldn't notice for 2 years. 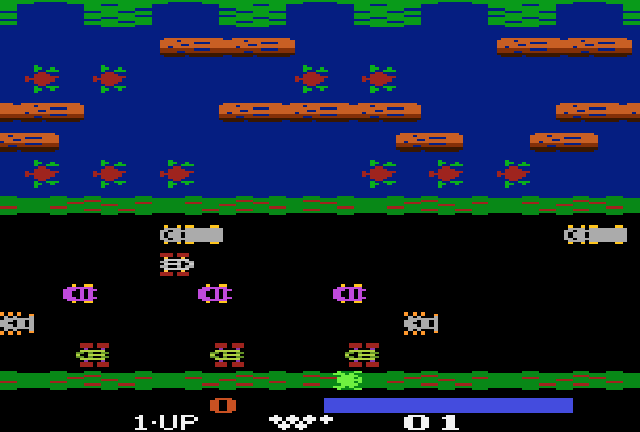 So essentially, back in the early 1980s there were several factors of game production were in the hands of business types that didn't understand the amount of time necessary to develop a software product, and whom had no appreciation that it is the playability that makes the game successful (as opposed to the me-too mimicking aspects of previous titles). Worse, they were unduly rushed by industry politics that led to fatal mistakes in the supply chain. Variations on this sort of thing are still going on. For example, with any size of development team, you're going to have different personalities each placing their emphasis upon what they each believe has greater value. It is in this manner that a title loses fun gameplay elements in exchange for game design by committee. And we have cases where business types and/or a development team that gets its hands on a franchise and runs it into the ground (i.e., didn't appreciate the original product and just hashed together stuff to meet a deadline). So a pattern with AAA development is along the lines of: 1) securing a significant pool of money for development, but then 2) underestimating the amount of time required for design, development and testing, which leads to 3) the release of buggy Beta (or even Alpha) product that 4) weren't entirely well thought out in terms of gameplay (i.e., lack of early design work), and then 5) poor sales that are blamed on declining interest in that genre, instead of acknowledging management errors and learning what not to do. With respect to supply chain, we've had an unexpected issue the past number of years with used games sales cutting into the sale of new titles, and in some cases used sales being purposely optimised without consideration to harming new game sales. Steam seems to be a suitable solution (to the used game issue) in that a wider number of people are encouraged to buy discount games, such that volume sales compensate for reduced pricing. But some game publishers fail to appreciate the convenience that Steam provides, and so we're seeing weak attempts to provide competing online stores by withholding product from Steam (i.e., more politics). Well, as one of the people who was around for that era and had my own Atari 2600, I have a question and a note. 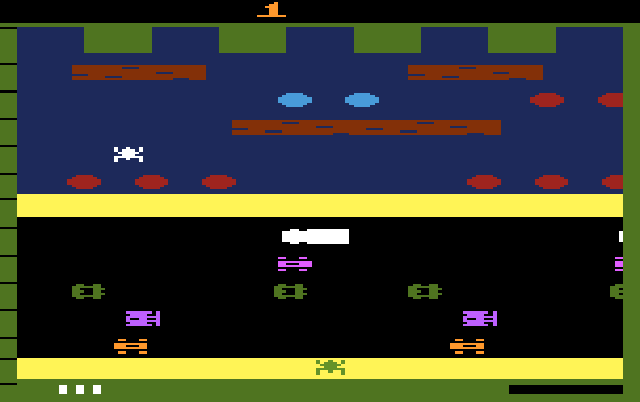 The question is simply this: while the Atari 2600 was, of course, the big player in video games of its era, there were other options in the home console arena, namely the Mattel Intellivision and the Colecovision. Much as it pains the heart of my five-year-old self admit it, both were significantly more powerful than the Atari. If people were really looking for a more technically sophisticated experience, why wasn't there a lateral move rather than simply a ceasing-to-exist? By way of comparison, videos of the Colecovision and Atari 2600 versions of Donkey Kong post-spoilertag. My comment is that while Atari produced a lot of shovelware at the end of its run, that same period was simultaneously the golden age of design for the system, simply because of the strict limits of its apparent capabilities. Activision's Pitfall II, in particular, reads like a laundry list of the things the article says the Atari 2600 was lacking- distinct characters, music (admittedly not the most sophisticated music, but a remarkably varied and impressive soundtrack for the era), an enormous cavern to explore, and even the skeleton of a story in the hero's need to rescue his niece and pet. Imagic also produced some visually impressive games, tapping the outer limits of what the hardware could do. Which brings me to my usual prophet-of-doom schtick. Shamus is quite right that there won't be a video game crash quite like the one of 1983. But I'm still not entirely convinced there might not be a crash- at least, as far as the AAA-publishers and game console creators goes. I don't think I really need to run the whole lap again, everyone recognizes the basics: Current AAA games have localization teams whose listings run longer than the credits of entire games from even ten years ago; every person on those credits draws a paycheck. Many games don't bring in the kind of money that justifies the expenses incurred in those paychecks, along with the attendant marketing campaigns, manufacturing costs, server upkeep, and so on. Cue closings, mergers, DLC, Online Passes, in-game advertising, the vilification of the used market, and so on. And that's before we get to manufacturing hardware at a loss, expecting to make back those costs on first-party games. Then bring on the next generation: second verse, jazzy verse, like the first one, only worse. Pity the poor studio lead faced with the mission to justify the customer's move to "next-gen" hardware, construct games that give all the new visual capabilities a workout-- while simultaneously pulling back the reins on that spiraling budget. There might some silver bullets out there. Engines that are both powerful and easy-to-use, making it possible for a smaller team to do work that used to require a larger one. Libraries of high-quality assets that developers can use and re-shape, lessening the costs of production without significantly jarring overall quality. A greater specialization in companies, so that AI teams and level designers and texture artists come together for a project and drift apart as needed, much like composers and voice actors might be hired for single gigs today. But... I'm not hearing a lot of solutions. I hear some developers recognizing there's a problem, occasionally offering wish-lists. But I don't hear a lot of people coming forward granting wishes. What I suspect is that people will keep doing what almost, but not quite, works. There will be a few more XBox One-style attempts to fit square pegs through round holes, to try to force the old ways to work rather than come up with new ones. There will be more studio closings, more mergers, and it's entirely possible that the generation following this one will have one less player- though I wouldn't place bets just yet on which one. Rather than pushing against the capabilities of what the current hardware is capable of, designers have been moaning for more space to pursue their visions. Honestly, I think that may be part of the problem. While the "indies" are making games like "Thomas Was Alone", "Braid", and "Bastion" that would hardly have stressed last generation's hardware, the AAA people seem convinced that what we really need is photo-realistic hair on our dogs. Or universal Internet connections, with the unspoken premise that gamers are better at entertaining one another than they, the professional entertainers, are. So, yes, a new "1983 Crash" wouldn't seem to be in the cards. But I can still imagine a future that looks very different from the one we have now, one in which the distinction from a crash would ring very hollow to many of today's players. We may face a crash not so much from a lack of technical capability but an excess, not so much a lack of quality as a lack of imagination, an aversion to risk, and an unwillingness to change. The machine had just 4k of memory. If you fed the Atari 2600 the raw text of this article, it would have run out of space in the middle of this paragraph. That's just text. And in that space you needed to fit your graphics, sounds, and machine code to run the game. I believe that is not exactly correct because the games had their data on cartriges, which were like ROM and could hold more memory than that. My Vic-20 had 4k too, but plug in a cartridge and you could play much better games than what would fit on 4k. Your getting storage and memory mixed up. A cartridge is like a DVD/Hard drive, it stores data for later usage. Ram, aka memory, is where data is located while a process is in action. Eg: To display this reply the quote and my reply is stored in the ram so the display can display the text. If it was a word document it would be saved on the HDD after closing. He's saying that it would run out of memory and thus not display/be able to load the whole paragraph of the raw text. Yet had to cram graphics, sound and text into the 4k to be shown on screen/heard as being played. I've never really been able to take the idea of a new video-game crash to heart, mostly because of what I see going on outside of the AAA side of the industry. Indie titles have been going absolutely nuts lately, and some of the most notable titles we've seen in years are projects that are getting started off of a Kick-starter campaign. They're games made by fewer people with larger imaginations, and now they have all the access to distributors they could possibly want with things like Steam's Greenlight and all of the self-publishing available on the more recent consoles. AAA titles may be starting to lose some sales, but ultimately we're at a point where sheer variety and publisher access is keeping everything strong. This industry can't crumble; it's built on the internet; not to mention that it is human nature to be obsessed with cutting edge. Reading the title of the article I was all prepared to come in talking about how ridiculous the idea of a crash happening today is but then you said it for me. Dang misleading titles! At least you read the article, I can easily see half a dozen posters in this thread that didn't appear to do so. I kinda do want the industry to at least experience a slump, because at this point none of the big players seem to have a clue how to run a stable business. we may be getting less games a year. but the quailty of said games has certainly increased. As for distribution options the retail stranglehold is done. There are dozens of options for PC games including buying directly from the developers, something unheard of even 15 years ago. Say "hello" to Apogee and Epic, circa 1991. That's about $100 in today's dollars. Aham, sorry the little rant above. Anyway, I don't know what the big game industries and their AAA titles will do about that but I don't see games running short anytime soon. I blame the indie genre for that. Usually done by a small group of people and not that much cash to start with. We're pretty much being flooded by them nowadays. I find that to be a good thing. I'm not so sure, captcha, but I can see how it fits in. If anything, this is beginning to be a right-sizing of the market. The companies that don't know how to budget are dying and the valuable IPs are getting purchased by companies that do know how to budget. The bigger companies took some hits and will hopefully learn from their mistakes before their own IPs get parcelled out. Either way, it looks like there will always be someone waiting to scoop up those IPs and soldier on. I also agree that our current tech could carry us a long way. There's only so far you can go before things look and feel realistic. Eventually we will reach the bottom of the bucket and graphics will be as good as companies want them to be. I am looking forward to this next generation, not for graphical improvements but for improvements in AI and physics. We have gotten to a point where games are being limited by the consoles so this was certainly necessary but absolutely not as necessary as in the 80's. The crapware of the 80's also was even worse than had everyone made a crappy FPS like Colonial Marines. I mean, we're talking direct game development by cereal and pasta companies. It was just silly and people had to pay for this crap in a day and age where there wasn't an internet to look up games on. Nowadays, we know even before launch of major titles if they stink. These companies also have pedigrees that enable us to know approximately what to expect from them in a way that wasn't present in the early 80's. Hate to get into a nerd war over this one, but there is a difference between ROM and storage. Cartridges are ROM memory which are directly accessible by machine code, i.e. information on cartridges do not need to be loaded into RAM memory but can be directly accessed. So you would have the 4k internal RAM in additional to game resources on cartridge ROM. Likewise, fit what sounds? You're simply sending commands to the TIA to trigger various sound effects. As far as ROM storage, the initial carts were 2K then 4k then 8k (2600 Asteroids is an 8k cart) then 16k (Dig Dug in 1983) and so on. Bankswitching allows a theoretically unlimited ROM size of 1K, 2K, or 4K blocks over and over. And it's not like Atari didn't know the technology was getting old, but the sales were still there. However, it's precisely why they moved to the 5200 being the high end console and 2600 being moved to low end, and then the 7800 as high end in '84 when the 5200 was cancelled. They were also working on a 68000 based console for release in late '84/early '85 which would produce a three tiered console offering of high, mid, and low end consoles. After Atari Inc. collapsed and was split up, the next company - Atari Corporation - released the 2600 Jr. as a budget based console, where the 2600 remained a strong seller through much of the late 80s. Either way, all this is moot and silly as an argument to a cause for the "crash" because the crash included the next generation of consoles. I don't think it is necessary, with Kickstarter and all these indie games we have more options than ever. Also companies are working on making games easier and less expensive and that should help us see more interesting games down the road. Currently AAA games are so expensive to make that the publishers and developers have to make sure they have a wide appeal, otherwise they might not get to make another AAA game. It has happened to many developers before.